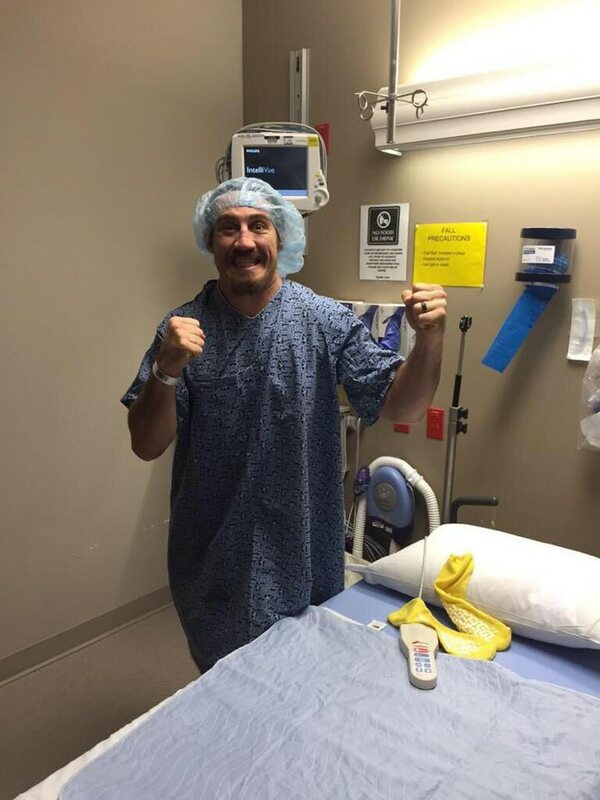 One day after knee surgery, UFC pro Tim Kennedy is putting to rest rumors that he's quitting mixed-martial arts fighting. Kennedy, a former active-duty Special Forces soldier who now serves in the Texas National Guard, underwent surgery Thursday on his right knee. "No, I'm not retiring, but I have no immediate plans for a fight unless something ridiculously awesome comes up," Kennedy told Army Times on Friday. The sergeant first class reiterated his plans on his Twitter feed. "I'm not retiring," he wrote. "I will always be fighting in one form or another until the day I die. I just don't know when I'm going to fight next." Speculation about Kennedy's future plans were first raised on BJPenn.com, a website dedicated to UFC fighter BJ Penn. In a short post, the website said Kennedy said he wasn't sure when he was asked about when he might return to the octagon. Kennedy, 35, posted on his official Facebook page a photo of himself at the hospital. "Knee surgery complete and I'm ready to go," he wrote. "I'm not retiring, just recovering." He said Friday the surgery was to fix a tear to his lateral meniscus and fix an issue with his anterior cruciate ligament. He was already back at the gym Friday morning, but working only his upper body. As he heals, Kennedy is focused on being healthy and being with his family, he said. He's also focused on his commitment to the Texas Guard. "We've got some cool stuff I want to be part of," he said, adding that these other parts of his life "is going to take priority" over fighting. Kennedy's most recent Ultimate Fighting Championship fight was a controversial loss Sept. 27 against Yoel Romero. The two top-10 middleweights faced off at UFC 178 in Las Vegas. Kennedy survived a rough first round, then appeared to have Romero, an Olympic wrestling medalist, solved toward the end of Round 2, scoring a flurry of hard, unanswered punches as the bell sounded. Romero appeared out on his feet, desperately in need of the 60 seconds' worth of between-round recovery time. He ended up with almost 90 seconds, however, thanks to a slow-moving corner and an over-application of Vaseline to his face. Romero's cornermen then failed to remove his stool, prompting heated instructions from a commission official. The referee then noticed a glob of Vaseline on Romero's face that was applied to a cut over his left eyebrow and called a cornerman back into the cage to wipe it off. By the time the third round began, fans were booing the proceedings. Less than a minute into the third round, Kennedy was battered by Romero's blows and on the wrong end of a referee stoppage. It was his first loss since his 2001 pro debut.